This is a very fine and sporty 1970’s 37×43.5x15mm. 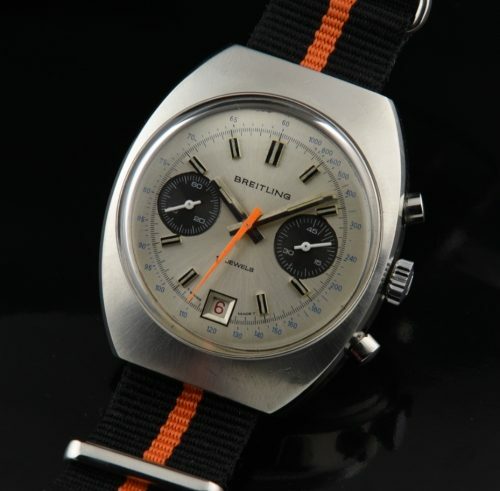 vintage Breitling in stainless steel. This is an all original watch including the eye-catching “panda” dial with polished steel baton hands, signed logo crown and orange chrono hand. 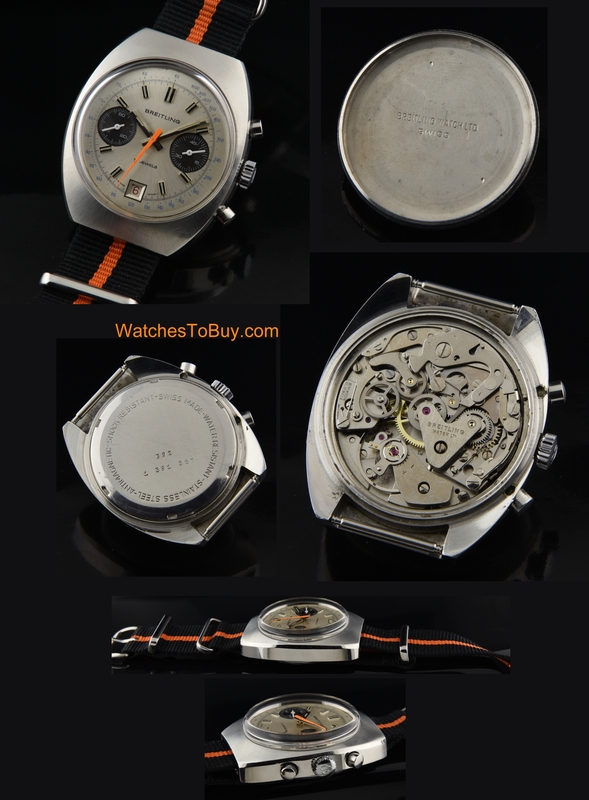 The case looks great with only some minor marks consistent with its age….on the wrist it looks fantastic! The manual winding BREITLING Valjoux 7734 movement was just cleaned and is accurate. This watch is very collectable and vibrant looking on the wrist. The top chronograph button stops and starts and the bottom resets to 12:00. REMEMBER never press the bottom button while the chronograph is running.